Linda's Printing - Serving Saskatoon's Printing and Publishing Needs for Over 25 Years! 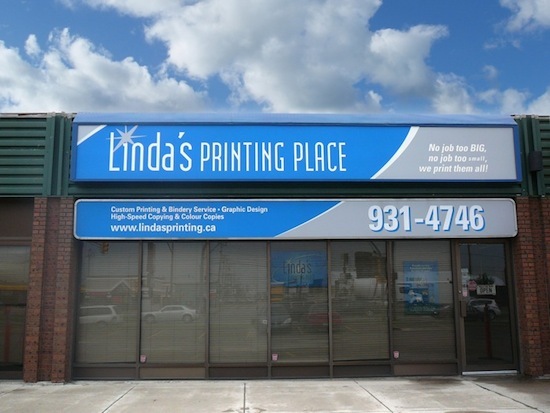 Linda's Printing Place is proud to have served Saskatoon and area for over 30 years. A lot has changed in the past 30 years, and our company is no exception. We offer services using the latest in digital imaging solutions and wide-format printing, along with advancements in traditional printing and bindery processes. No job is too big, no job is too small – Linda’s prints them all! Our customer service representatives understand today’s fast-paced business demands, and will work with you to find solutions to your needs that fit both your deadline and your budget. Our creative design department can assist you to make your visions come to life, either working from scratch or working with your existing files. High-speed production capabilities and quality finishing ensure that your order will meet or exceed your expectations - every time - on time.